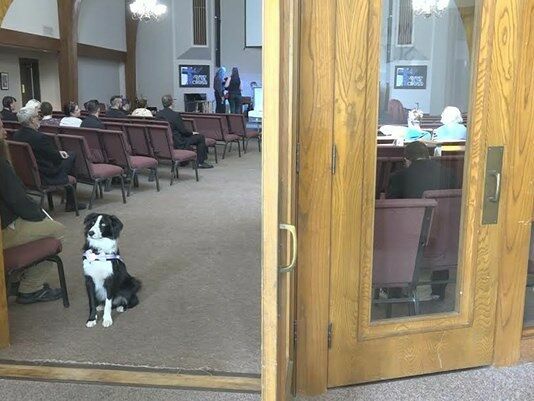 A 14-month-old border collie called Kermit is undergoing grief therapy dog training to help comfort mourners at funerals who have lost a loved one. 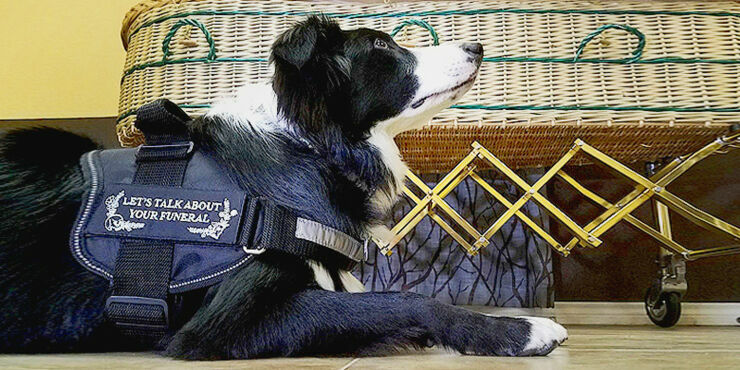 The adorable pip is hoping to be the first grief therapy dog in Texas and will be working in funeral homes to help people comes to terms with their grief. 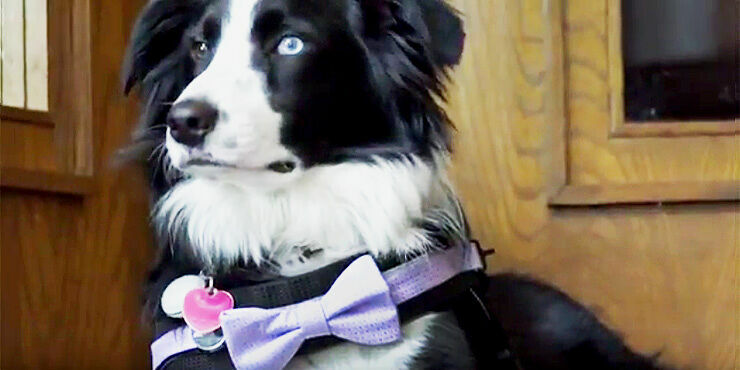 Kermit (aka Widdle Kermit Ambrosius von Przygodski) is a a border collie and Australian shepherd mix. He also has one blue eye and one brown. 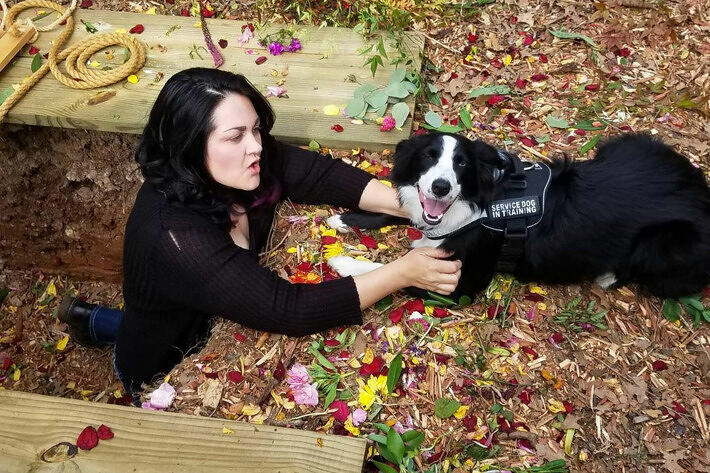 The grief therapy dog training he's received will allow him to aide owner, Melissa Unfred, who is a funeral director in Austin, TX. Melissa and Kermit have actually both been training to become a dog-grief therapy team. It was while Kermit was at the funeral home with her one day that Unfred realised he had a different temperament to most dogs. "His demeanor would start to fit perfectly with the situation," Unfred told KVUE, a local Austin news channel. "A lot of people have been really surprised that he's not hyper. You see that as a hand will go out to pet him, it's like an immediate sigh of relief and definite grief therapy. I've seen it over and over again, whether we're at a funeral or a nursing home or somebody has just passed away, he is there to be a calm presence." Unfred had originally wanted to get Kermit, who she picked up from Fuzzy Friends Rescue in Waco, Texas, to help her deal with the stress of her job, which can obviously be quite emotional. It's well know that having a pet, especially a dog, can help with your health, lowering blood pressure and also inspiring confidence. 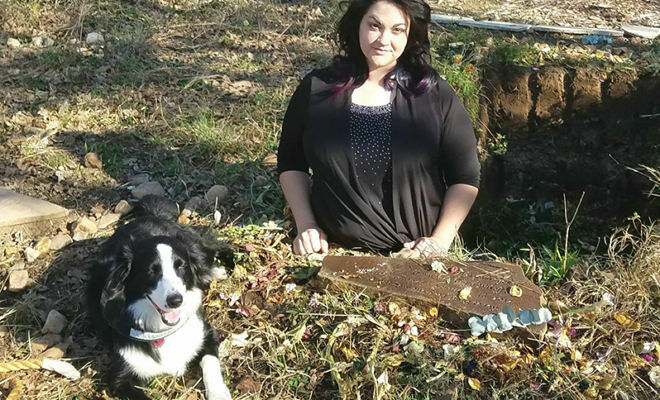 So Unfred began her grief therapy dog training with Kermit and started taking him with her to work at the funeral home, where Kermit would also attend graveside services and go on hospice calls. Soon Unfred realised Kermit was a beneficial influence not just on her, but for mourners suffering through the death of someone close too. He not only acts as a calming presence when in the room, but Kermit also senses that people are grieving and introduces himself—placing himself on their laps, for instance. It's a great example of simple grief therapy. "He's something of a chameleon—he can kind of sense the energy in the room," Unfred says. "Sometimes I will start to go upstairs and Kermit isn't behind me. He ended up staying behind and Robert has seen him in action. He just moves himself into the position where he's closest to the primary griever." Unfred's boss, Robert Falcon who owns the funeral home, further compliments Kermit's empathetic grief therapy dog skills. "He just totally diffuses the situation," Falcon says. "When he shows up, he calms the room. Kermit has a presence to him." And now, after his dog training at the Austin Dog Alliance, Kermit is a certified funeral grief therapy dog. But his job helping those suffering won't end at the funeral home either. Unfred told New York Magazine that she wants Kermit to serve the community beyond the funeral home too. Which will mean an increase in his dog training to include other types of therapy reading programs, such as nursing homes and hospices, and children's hospitals. Where&apos;s Momo? This Adorable Dog Is An Expert At Hiding, Can You Find Him In These Photos?